Naina and Mugdha recently entered Zee TV show Kumkum Bhagya as protagonists Abhi and Pragya's twin daughters, Riya and Prachi respectively. In a major development recently, Zee TV show Kumkum Bhagya witnessed a generation leap. After Kiara’s death, Abhi and Pragya went their separate way, splitting the twins too. Post a 20-year jump in the storyline, actresses Naina Singh and Mugdha Chaphekar have been introduced as Abhigya’s twin girls Prachi and Riya. Prachi is a simple, sweet girl who grew up with her mother Pragya in Hoshiyarpur. Riya, on the other hand, is the apple of her daddy Abhi’s eyes. Spoilt for choice, she has been pampered with every luxury in the world. Let’s take a look at some lesser known facts about Mugdha and Naina, who play the roles on the daily soap respectively. Born and brought up in Mumbai, Mugdha, who we popularly now know as Prachi, is a proud Mumbaikar! 3. Guess what is Mugdha's nickname? Blessed with the looks of a cute-little princess, Mugdha’s nickname reportedly is ‘Barbie.’ Doesn’t she look like a desi version of the doll? An entertainment portal reports that Mugdha holds a Bachelors degree in English Literature, Masters Degree in History. Her Instagram bio does include that she is a reader, writer and a dreamer. 5. Do you remember which popular shows Mugdha has starred in? Amongst Mugdha’s popular appearances on television shows, Satrangi Sasural remains quite a memorable hit. 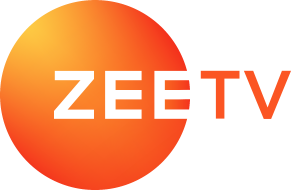 The Zee TV show was an adaption of the Zee Marathi series Honar Sun Me Hya Gharchi. In fact, Mugdha even married her co-star from the daily soap, Ravish Desai, in 2016. Mugdha won the Maharashtra State Award for The Best Actress Debut for The Silence. Released in 2017, the film dealt with child sexual abuse within a family and was directed by Gajendra Ahire. Naina Singh, who plays the spoilt brat Riya, hails from Nainital, Uttarakhand. Naina rose to fame after she won an Indian television reality show with Baseer Ali in 2017. However, much before that, she had already bagged the as Femina Most Stylish Diva pageant in 2013. The fashionable star also has a music video appearance to her credit. She featured in the song Sundowner by Avi J and Jyotika Tangri in 2017. 10. Are Naina and her Kumkum Bhagya character Riya similar? Are Naina and Riya similar? Well, not sure, but an entertainment portal claims she loves partying and shopping! However, her Instagram reveals that she is a Bollywood buff for sure. How many of these things did you already know about Mugdha and Naina? Share your inputs with us in the comments box below. Sonali Bendre Returns To Reality Television With Dance India Dance?